The Aegis® weir style diaphragm (LDV) valves feature the most advanced technology available for controlling and isolating extremely corrosive and toxic process fluids and gases. 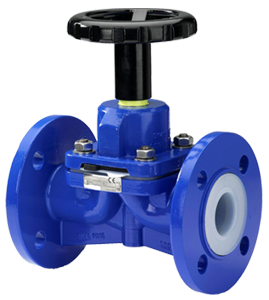 All valves are manufactured utilizing modern computer-aided production methods and molding technology, guaranteeing control of the manufacturing process and reduction of rework thus assuring defect free products that are delivered on time. Each valve is tested and certified per the API 598 specifications and the DIN 3230 part 3, leakage rate 1 specifications for absolute bubble tight shutoff and zero stem leakage.